Tricia's Take: A little project! OOTD- This should be PINK!!! 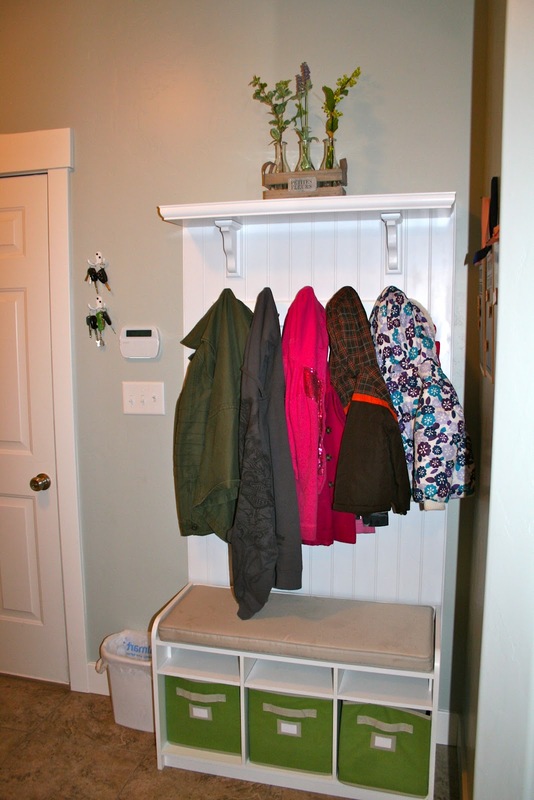 I decided to give my laundry/mud room a makeover, it was time consuming but I am so happy with the results! I want to get a few knick-knacks to go on top of the washer. Before this shelf was always filled with clutter! During the process (it did take about 6 hours with 2 people working just FYI) I got my stencil here for about 20 bucks! I plan on ordering this pendant lamp to complete the room! *Next up stenciling my pantry!!! Wow, great job!! Looks like it was worth all the effort - it makes such a huge impact in the space. love it!! Oh wow - the stenciling looks amazing!!! What a pretty space - I KNOW you must spend a good part of your day using it, so how nice to be fresh and pretty in there! Love it! I love the stenciling. I really want to do a wall in my dining room. I just don't know if I have the patience for it. But now seeing how amazing yours turned out, I am really encouraged to look for a cool stencil and do it! The room looks amazing! I am officially a follower now.